To fix this, the WIF runtime system is now part of Windows 8 and can be installed as a Windows feature like IIS, so the WIF runtime system doesn't need to be downloaded. 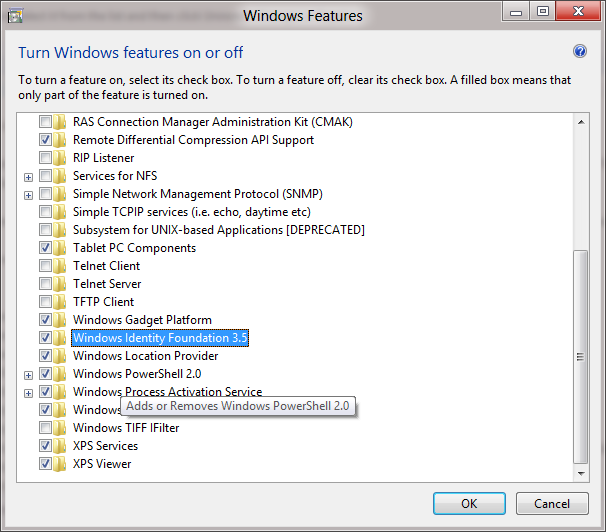 To do this run Control Panel > Programs and Features > Turn Windows Features on or off. Once you have done that then you'll be able to install the WIF SDK. 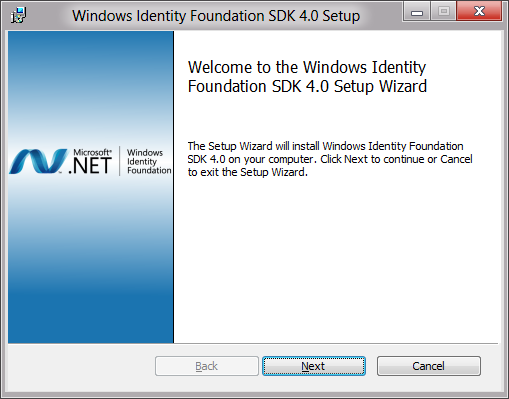 Once the WIF SDK installer is complete, you'll be able to reference the WIF API's from Visual Studio and use WIF on Windows 8 for your federated identity needs. Thanks - saved me some pain! Thank you ... got me out of a jam! I was breaking my head around this. Thanks. Thanks man! Really saved my hours!